I will be doing the Hear it Here theme using homophones to retell a story. I am going to be using my laptop with a built in microphone and work with the standard Microsoft recording to prepare my story. Similar to using political rhetoric I will attempt to retell a story related to current events through double-speak and fun wordplay. 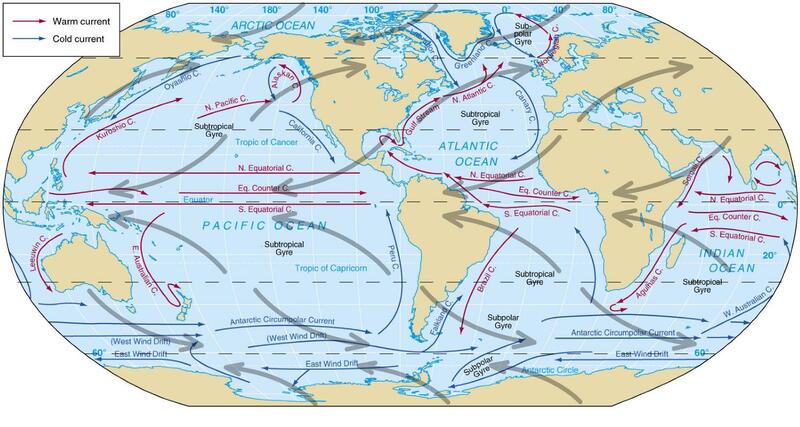 Although a map of Ocean Currents is extremely simple and straightforward, it has major impacts and influences throughout history as well as our international economy today. In the past merchants and explorers were keen on ocean currents and trade winds in order to travel safe and efficiently. Understanding and utilizing ocean currents have allowed us to map almost every corner of the earth. Today ninety-percent of international trade is conducted through sea. Ignoring the logistical advantage of ocean currents would decrease global trade revenue across the board. In order to mine relevant data for an issue such as the War on Drugs effectively during the 2012 Presidential Election, Contra as a team must first understand what we are looking for. The current theme as we are proceeding with is a bit too vast and overwhelming tapping into all aspects of government. Although during the debates, there won’t be much mention of the War on Drugs we can focus on policies supported as well as prior speeches. It would be vital to focus on keywords and build upon the candidate’s position on the current drug problems. What is not said will be just as important in our research in an attempt to fully understand where the candidates stand. With this information, we can relate it with the context of their respective parties and through qualitative research of history, we can project and imagine how the War on Drugs will unfold in the near or distant future. It is an absolute necessity to find and choose authentic sources of information in order to successfully paint a slight picture of our task at hand. Upon sifting through all of these sources, we can attempt to answer the question we are proposed. The website is an open classroom available to everyone where they can either participate as a student, teacher, or observer. Upon looking through the courses I noticed something peculiar between the assignments. Each assignment starts with a product and the students are challenged to create something completely unique within set guidelines. Such as this assignment where students use copyrighted material or intellectual property and “remix” them or create a reflection of the piece. The completed product is displayed openly to the public and others are urged to participate. If you aren’t sure exactly how to proceed or hitting a mental wall… Have no fear as ds106 offers a big remix button next to each assignment that offers you a theme to incorporate your assignment with. Ds106 allows those with technical skills to create something original based on existing ideas. Those without technical skills are offered tutorials and a community of like-minded pupils to communicate and educate one another. The entire idea of being an open course and an education tool allows the use of sensitive material to promote creativity. Any and all walls of a digital commons is broken and swept aside as all material is available and open to each other. Users can even remix another student’s work. Ideas and information is shared and archived available for anyone to view.